Lately I’ve taken an interest in clays as an ingredient for homemade soaps, and I started experimenting with different types of clays. 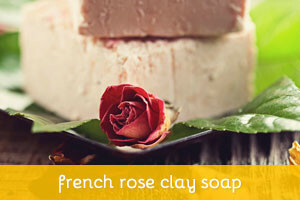 After the green clay soap I posted earlier, I decided to try a new recipe using french rose clay (or pink clay). This is actually kaolin clay that has taken on a pink, dark salmon tint due to iron oxide. 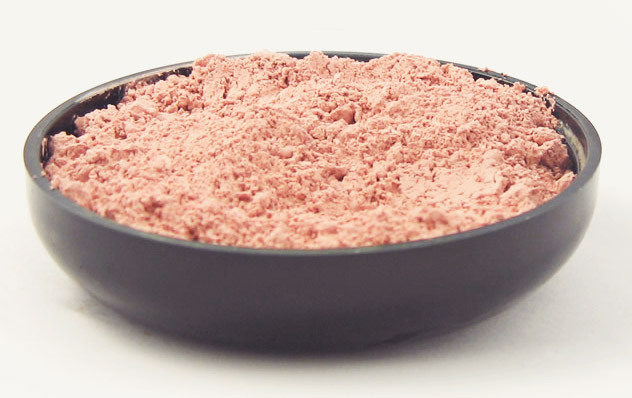 It has much the same properties as kaolin clay, since it is still kaolin, but it differs in the color it lends to your soap, which can range from a nice, delicate pink to a deep rose. You can get various shades of the color by adding more or less of the clay to your soap, but it also can change depending on your base oils and even essential oils. 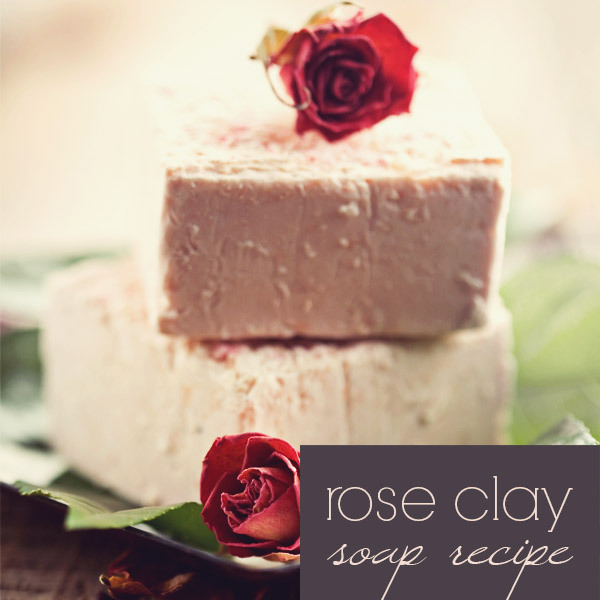 Besides detoxifying the skin by absorbing dust and impurities, rose clay also adds silkiness, slip and absorbency to soaps. It’s very mild and therefore can be used safely by normal, sensitive and mature skin types. 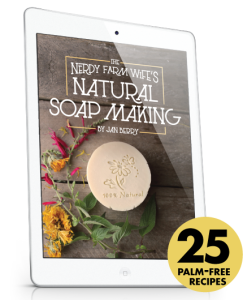 Run this recipe through a lye calculator such as soapcalc to get the exact measurement for the amount of soap you want to make. Or scroll below for measurement in ounces for 1 pound of soap. 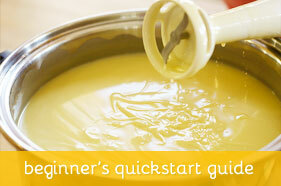 Follow standard soap making procedures, and incorporate the clay at light trace. 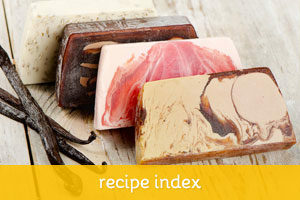 One option is to add it directly to the soap mixture for an exfoliant, speckled soap. Or, for a more uniform looking soap, set aside a little bit of the melted oils and dissolve the clay thoroughly before adding this slurry back to the remaining soap mixture. I scented my soap with an essential oil blend of rose geranium, jasmine, ylang yland and sandalwood (0.5 oz PPO). Insulate and cut once the soap is hard enough (between 24h to 48h). Let it cure on a cooling rack for 4 weeks.